15 minutes on foot from JR Zentsuji Station, 3 minutes by car.It is 3 minutes by car from Takamatsu Highway Zentsuji IC. 【Kompirasan】It takes 10 - 15 minutes by car from the hotel! 【Raised udon noodles, Nagata in incense incense 】Popular now in Kagawa★10 minutes by car to incense incense! Turn right on the T-junction with the Supermarket " Michael "
After awhile we have our hotel on your right. 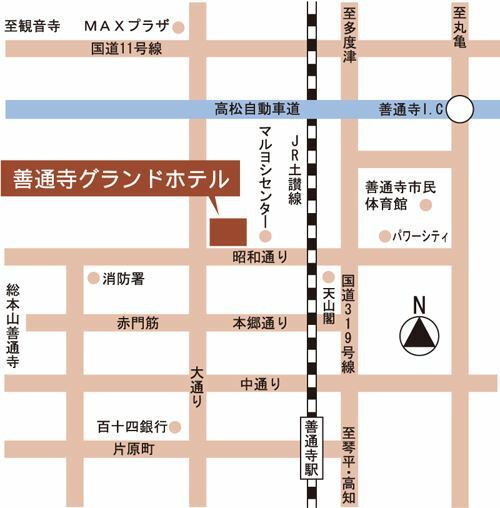 ※Mruyoshi center is located next to Mruyoshi center. It will take about 15 minutes on foot. Walk straight for about 7 minutes and we will see our hotel opposite DAIKI! About 5 minutes by taxi! A five-story pagoda rising dignifiedly within walking distance from the hotel. 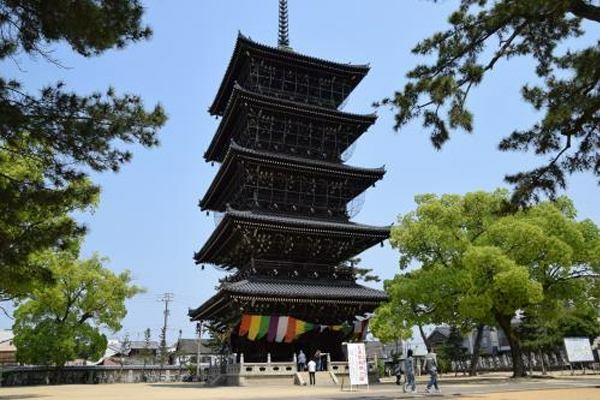 It is Zentsuji that you can see at a glance that it became the origin of the place name.One of the places you want to visit first to tell Zentsuji City.It is famous as the birthplace of the founder of Shingon sect "Kukai" tourists visit from across the country. Pilgrimage pilgrims 88 temples in Shikoku, Zentsuji is the 75th temple (temple). 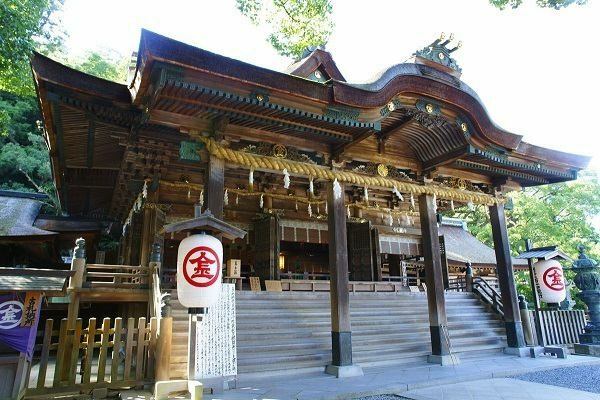 Konpira's official name is Kotohiragu-gu (God Hirugu).It is in the middle of Kurohira-cho, Kagawa Prefecture Kotohira san (also called Kotohirayama), climbing the staircase of 785 steps.It is a guardian of maritime traffic, which is a festival of the sea god, but also known as the god of agriculture, medicine, and entertainment, has a wide range of interests.The name of Konpira comes from Khumbila (= crocodile, or the predecessor of a dragon) of Sanskrit (= an ancient word in South and Southeast Asia).You can head to Kotohira from Kotohira Station on foot.The number of worshipers is over 3 million people annually.Kanpira crowded in the Edo period.Young and old and young, people of various sizes are aiming for Mr. Kanpira. 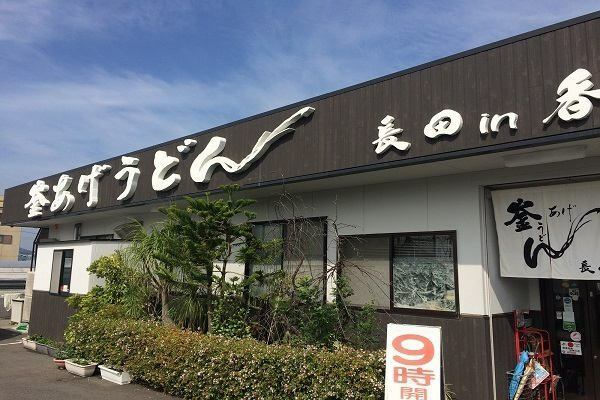 A famous Kamonaga Udon noodle with a high calling number 1st in Kagawa prefecture, where the matrix is ​​always ongoing. Inside a simple and rustic shop, with a high aroma of passion, enjoy delicious udon with Koshi. 10 minutes by car from the hotel〇.Please drop in! Jalan sunset is a beautiful spot ranking, "the nation first place!" 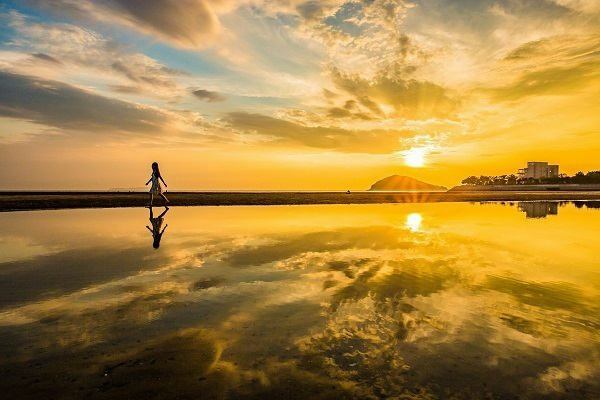 Ike is about 20 minutes by car from the hotel.The way the sunset reflects in the shallow sea is exactly "mirror of the sky".It is a popular spot of super-topic on SNS as Uyuni salt lake in Japan. Copyright (C) 2018 ZENTSUJI GRAND HOTEL All Rights Reserved.